Many of the stores around the city get involved with 3daysofdesign. 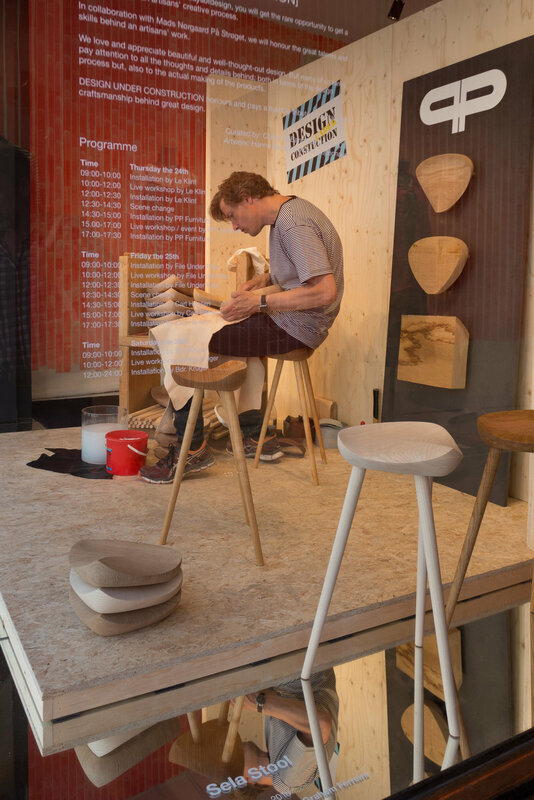 On Strøget - the great pedestrianised shopping street that runs east west through the centre of the city - the Copenhagen fashion brand Mads Norgaard, used their front shop window for "live workshops" with a tightly-packed programme of demonstrations by craftsmen making products from many of the best-known design companies and design workshops. 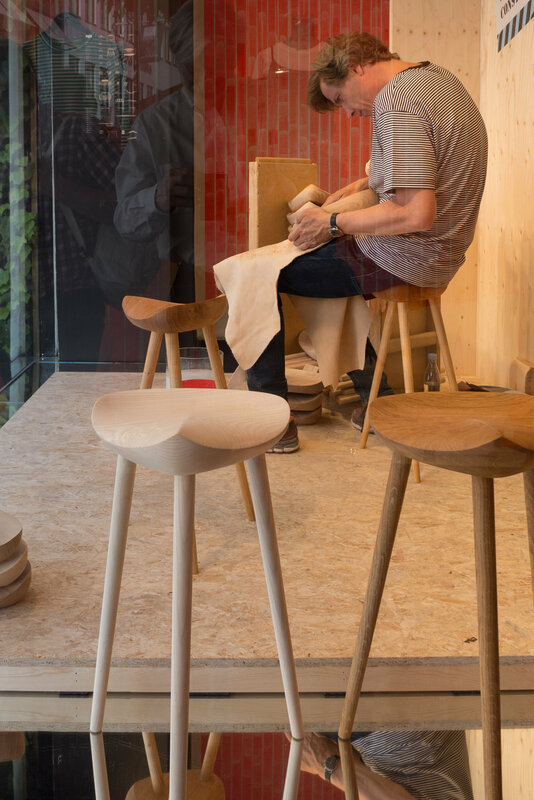 Here, in one of the sessions in the programme on the first day, a cabinet maker from PP Møbler was working on shaping and finishing the seat of their new three-legged Sela Stool designed by the Brazilian artist Ricardo Graham Ferreira. The stools are made in oak, ash, cherry or beech and the wave profile of the shape means that the craftsmen can bring out the character of the pattern of the grain in each block of timber.